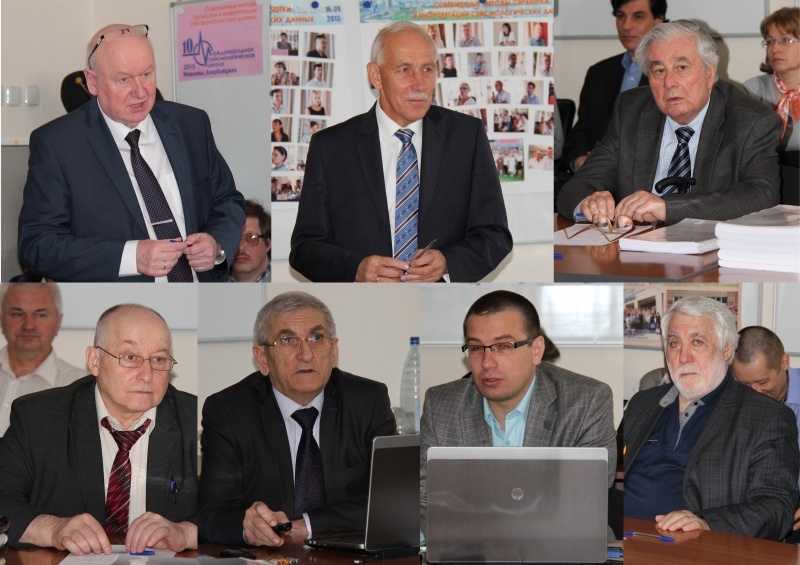 On December 18-19, in Obninsk, the meeting of the enlarged Academic Council of FIC ECS RAS with the participation of directors of branches was held. Solving organizational and scientific and production issues. 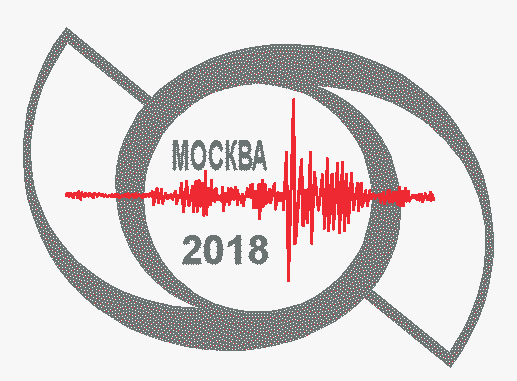 which will be held in the period 1-4 October 2018 in Moscow. THE END OF THE REGISTRATION PERIOD AND THE DEADLINE FOR SUBMISSION OF MATERIALS IS JULY 31, 2018. Details in the conference Program (PDF - RUS) and in the Conference section. 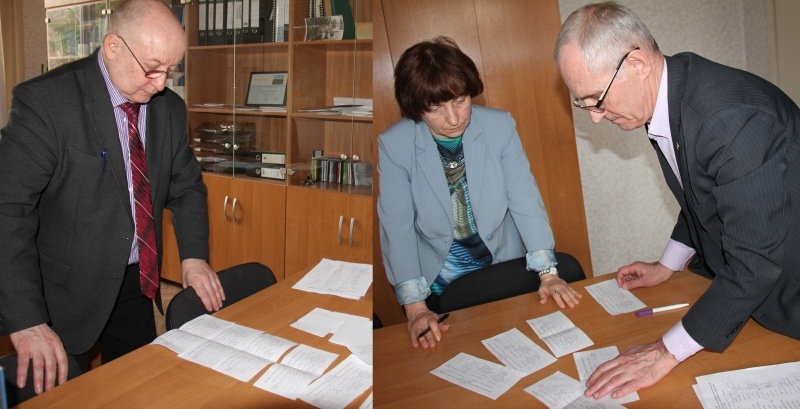 On June 8, 2018 in the Central office (Obninsk), in all branches and separate divisions of Federal state budgetary institution of science the Federal research center "Union Geophysical Service of the Russian Academy of Sciences" elections of the director have taken place. By results of counting of votes by Central Election Commission vote is recognized valid (83,17% of workers voted). More detailed (RUS), Summary protocol (PDF) and Summary table of results of elections (PDF). [04.04.2018] The results of the competition for filling vacant positions of scientific employees from 03/04/2018. On April 3, 2018 at the GS RAS, Obninsk, a competition was held to fill vacant positions of scientific employees. Following the results of secret voting, the tender commission announced the winners of the competition and decided to approve them for the job positions listed. [13.03.2018] Competition for filling vacant positions of scientific employees. GS RAS announces the competition for the vacancy of scientific job positions to be held on 16/05/2018. The deadline for applications is 14/05/2018. More in the section Vacancy. GS RAS announces the competition for the vacancy of scientific job positions to be held on 10/04/2018. The deadline for applications is 06/04/2018. [28.02.2018] Competition for filling vacant positions of scientific employees. GS RAS announces the competition for the vacancy of scientific job positions to be held on 03/04/2018. The deadline for applications is 20/03/2018. [15.02.2018] Competition for filling vacant positions of scientific employees. The deadline for applications is 15/03/2018. [22.12.2017] The results of the competition for filling vacant positions of scientific employees from 21/12/2017. 21/12/2017 at 14:00 in FIC GS RAS, Obninsk, a competition was held to fill vacant positions of scientific employees. mic Council of FIC GS RAS with the participation of directors of branches was held. [17.11.2017] The results of the competition for filling vacant positions of scientific employees from 17/11/2017. On 17/11/2017 at 14:00 in the conference hall of GS RAS was held a Competition for filling vacant positions of scientific employees. 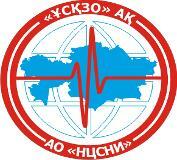 We invite you to participate in the Nineteenth Ural Youth Scientific School on Geophysics, which will be held in Yekaterinburg on March 26-30, 2018. Details can be found in the Circular. We remind you that students, postgraduates and young scientists under the age of 35 are invited to participate. [23.10.2017] Charity autumn harvest fair "Garden joys". October 23, 2017 at the Federal Research Center of the Geophysical Service of the Russian Academy of Sciences on the initiative of the trade union committee, the autumn harvest fair "Garden Joy" was held. According to the decision of the team of the Geophysical Service, all money obtained will be directed to charity: for the needs of sick children of Obninsk and Kaluga..
[13.10.2017] Competitions for filling vacant positions of scientific employees. GS RAS announces the holding of the 17/11/2017 and 21/12/2017 competitions for the filling of vacant positions of scientific employees. [09.10.2017] Results of the VI Scientific and Technical Conference "Problems of Comprehensive Geophysical Monitoring of the Far East of Russia"
was held in Petropavlovsk-Kamchatsky in the period from 1 to 7 October 2017. Read more in thesummary report (PDF) and on the conference site... http://emsd.ru/conf2017lib/. Details in the Conference Report (PDF) and in the section Conferences. Details in the Conference Program (PDF) and in the section Conferences. was held in Moscow in the building of the Presidium of the Russian Academy of Sciences. On June 5, the general meeting of GS RAS staff was held. A secret ballot was held to support the petition for the extension of the powers of the GS RAS director Malovichko Alexey Alexandrovich. Based on the results of the counting of votes by the Central Counting Commission, the vote was declared valid. The total number of participants in the meeting included in the list: 875. The total number of registered participants in the meeting: 778. The total number of invalid ballots: 7. Total number of votes FOR: 737. Total number of votes AGAINST: 34. Details in the First Circular (PDF) and the Program (RUS - PDF). 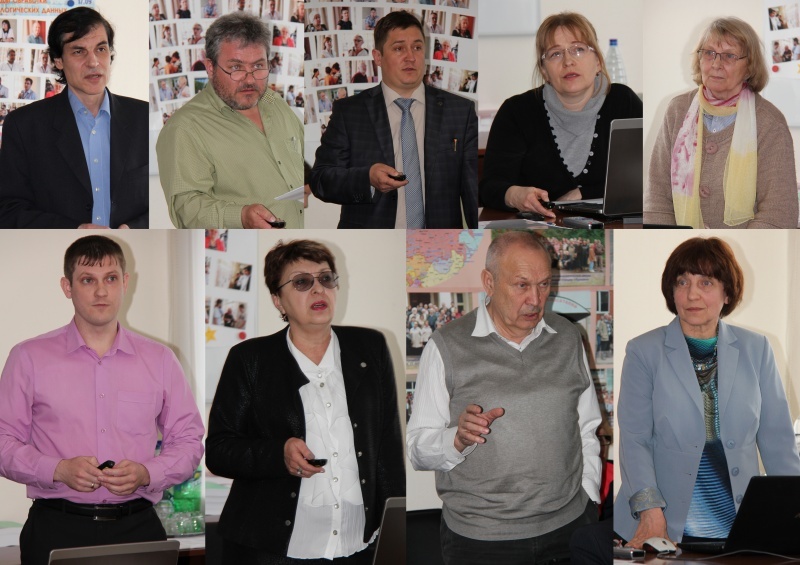 On April 26-27, in Obninsk, the meeting of the enlarged Academic Council of FIC ECS RAS with the participation of directors of branches was held. 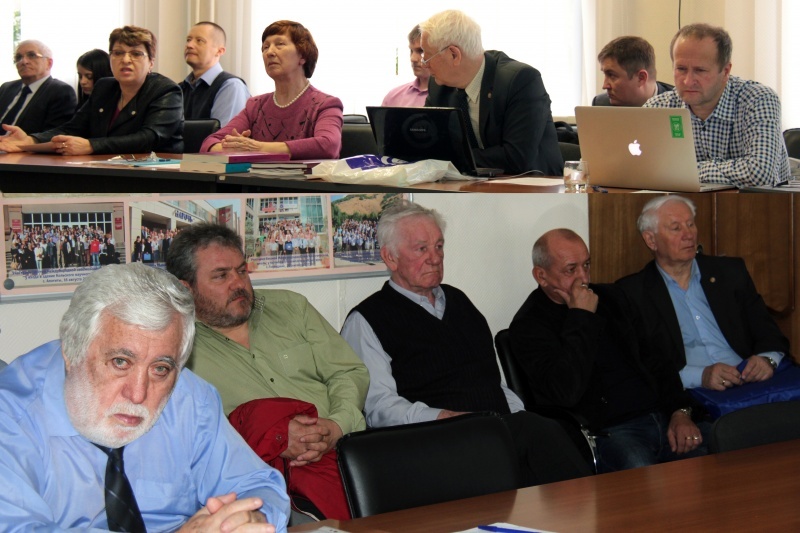 From April 25 to April 27 the Academic council and meeting of directors of branches and division managers of FRC GS Russian Academy of Sciences has taken place. "Modern methods of processing and interpretation of seismological data"
September 11 — 17, 2016. The end of registration and term of granting materials to the publication – on May 31, 2016.